I’m proud to say that I have been following my dream ever since; to create a technology that empowers teachers, learners and parents and delivers an amazing education for everyone. It has been, and still is, a real challenge! Not least because back then I really didn’t know what I was taking on; I was a headteacher, not a technologist. What I did know for sure was that enabling teachers to watch and learn from each other was the best way to rapidly improve a school. I knew this because I’d paid my teachers to visit other schools and watch how they taught. Our school was transformed as a result. Around this time I began to think about how technology might be able to connect all education professionals together so they could efficiently watch, learn from and even support each other to teach. I looked at what already existed and could see learning potential (YouTube), the power of connecting people with shared interests (Facebook) and professional development opportunities (Twitter). Being a Luddite, I naively thought it would be easy to build a platform that blended these three principles together. So I had a go. Five years later, that platform is built and doing what is was designed to do. Known as YouTeachMe, the innovative schools using it report dramatic impact; children learn faster, parents see what and how their child is being taught, teachers feel more supported. 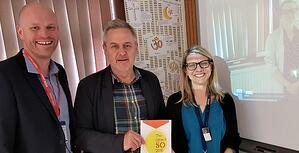 Earlier this year YouTeachMe proudly featured in the Edtech50, a report identifying the most influential people, products and projects in the UK education technology scene. The Law of Diffusion of Innovation says that it takes time to capture a market, and even then, there will be those who do not adopt. Time is the one thing that learners don’t have. Every day counts. So, the question we are now looking to solve is this: how can we improve the educational experience of every child, even those attending schools not yet working with YouTeachMe. The answer is obvious: by reaching out to their parents. 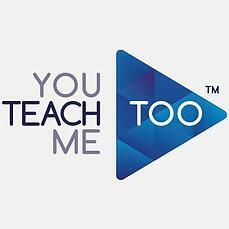 So we took YouTeachMe.co.uk, copied it and created YouTeachMeToo.com – a Netflix for education style service for parents that connects their whole family with great schools across the UK. 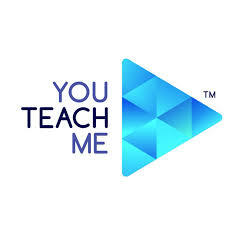 Parental subscriptions are used to employ teachers to support the work of the YouTeachMe schools, enabling them to create, use and share more teaching videos. No longer does a child have to be reliant upon just one teacher. No longer does any school have to work alone. Great change is rarely driven from within. Apple, Netflix and Airbnb transformed music, film and travel. Connecting parents and schools through YouTeachMeToo is transforming education.